Since I’m steeped in the world of personal finance, just about everyone I know is all about getting rid of high-interest consumer debt. While there are lively debates about the acceptable level of low-interest debt, and debt used as leverage, most of those I know in the PF world agree that carrying high-interest balances month to month is something to be avoided. And, if you have high-interest debt, it’s something to be paid off ASAP. However, once I get out of the world of personal finance writing, I find myself interacting with people who have no trouble carrying high-interest balances from month to month. Many of them are comfortable with their consumer debt, and don’t have a problem paying the interest. Many of those I talk to who are comfortable with their debt levels are focused more on maintaining their current lifestyles. They are usually paying down their debt — but at a very slow pace. Many of them make contributions to their retirement accounts and pay more than the minimum balances on their credit cards. They are doing everything they’re “supposed” to — except aggressively reducing the debt they might have amassed earlier in their careers. 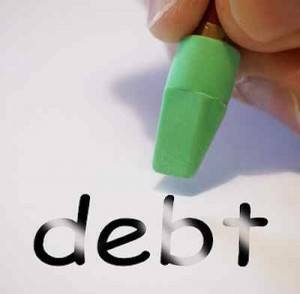 Instead of trying to pay off debt in three years, they are content to keep credit card debt for seven or eight years. This is mainly due to the fact that they don’t want to change their lifestyles. They are comfortable, and they don’t want to give up nights out, vacations, and other things. As long as they are making small progress with debt, they are content with the situation. For many of these folks, the debt is “affordable.” They can afford the payments (plus a little extra) with relative ease. As long as they aren’t running into financial problems each month, they are happy. Since the debt hasn’t reached an unmanageable level, there isn’t an incentive to change things. It’s true that they are paying quite a bit in interest to maintain the situation, but most don’t think in those terms. Instead, they have the cars they want, and they don’t have to scrimp and save. They get their employer match on their retirement contributions, so they aren’t worried about the future. They can afford the debt payments, and they expect that the debt will be paid off before retirement (and in the meantime they’ve been contributing), so they aren’t too fussed about the amount of “wasted” dollars paying interest. It’s an interesting mindset, and one that focuses more on current lifestyle preferences than on the stark numbers associated with paying off debt faster. If they have what they want short-term, and they are reasonably prepared for the future, the thinking is that there is no reason to sacrifice to pay down high-interest debt. This is a tempting mindset to have. After all, as long as you can make the payments, and you are doing what you should in other areas of your finances, why should you worry overly much about your level of high-interest debt. The unfortunate reality is that a financial catastrophe can strike at any time. You might be comfortable with your debt payments right now, but what happens when you lose your job, or if a medical emergency drains your funds? Now, all of a sudden, that debt is unmanageable. NOW you feel the stress associated with bills, and making decisions about which obligations to start with. If you start missing payments, that’s when the creditors start calling and your credit goes into a downward spiral. That can make your financial situation difficult for years to come, even if you stop borrowing. While it’s possible to get comfortable with your debt, and the way you pay it down, it’s important to be careful. Just because you can “afford” it now doesn’t mean that you will be able to afford it later. Those obligations are always hanging over your head, and the faster you get rid of those high-interest debts, the better off you’ve be overall. Plus, instead of paying all that interest, you can put the money to work for you through investments. Now you’re EARNING interest instead of paying it.